The city of Lantzville is a welcoming, beautiful community on the eastern shore of Vancouver Island in British Columbia. It is just to the north of Nanaimo and on the Strait of Georgia. This small community is home to about 3,800 people. What makes it unique is that it is nearly all a residential community with only a limited number of commercial buildings in the city, most of which are on Lantzville Road. 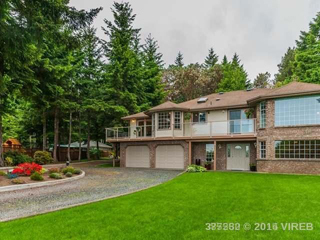 Many people purchase real estate in Lantzville to be close to the outdoors and more natural atmosphere of this area, but also because it is so close to the numerous amenities in Nanaimo. There are two sections of Lantzville. Lower and Upper Lantzville are only slightly different. The lower portion is a village-like area with more than 4.5km of beachfront property. It sits along the northern edge of Nanaimo. Properties here are spacious and often large. For those who wish to purchase a significant amount of land near the water, this is the ideal choice. Upper Lantzville is another treasure. The area is a bit more rural and because of it, there are fewer neighbours to worry about here. The lots are larger and more obscure in size and shape, but finding a quaint home overlooking the Winchelsea Islands is quite possible on both a small or large amount of land. For a more community feel, Lower Lantzville is the ideal choice. Single family homes and larger estates remain in the most common style of home here, but this area tends to also be a bit more expensive. In Upper Lantzville, you'll find far more options in terms of land size. In both areas, real estate trends in Lantzville are very good. Property pricing continues to improve year after year and availability is stable. Though remote, it affords the discerning buyer with far more options. New development is available as well. With its proximity to Nanaimo, where virtually all amenities and needs are met, Lantzville makes the ideal home for many buyers looking for a unique combination of modern and rural lifestyles.